Winning a Cannes Lion or a Gold Clio would make George Smoot's Nobel Prize for Physics look like garbage, right? In Wieden + Kennedy's latest TurboTax campaign, some of the world's greatest intellects school average folks on how easy it is to use the online tax preparation system. 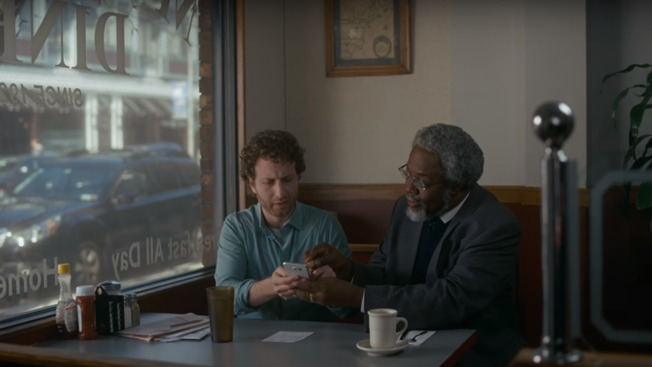 S. James Gates Jr., Michio Kaku, Franklin Chang Diaz and Smoot are among the smarties appearing in a series of 30-second spots tagged, "It doesn't take a genius to do your taxes." "The ads bring new innovations to life, demonstrating how TurboTax addresses consumers' doubts and empowers them to get every dollar they deserve," says Greg Johnson, svp of marketing for Intuit's Consumer Tax Group. W+K and multicultural agency Grupo Gallegos handled creative chores, with Smuggler's Randy Krallman directing the amusing commercials, which run through April 18, supported by radio, digital and social outreach. One question, though: If they're really such geniuses, why don't they show us how to avoid paying taxes? The mind reels.